Block Ice, Newcastle's block ice supplier. Delivery and pickup. We also have 3.5kg and 6kg party ice bags for sale. We are a Newcastle based company selling to the public, with its sole owner, living in Newcastle for some 28 years in total. Block ice lasts up to 3 times more than party ice by itself. Block ice can be used to add that extra cool to whatever you have to ice down. With a combination of block ice and our party ice, your food and drinks will be cool … so cool. And will stay cool for over 72 hours and more. Our block ice is food grade. We supply or deliver locally in the Newcastle CBD and within a 10Km radius from Mayfield! 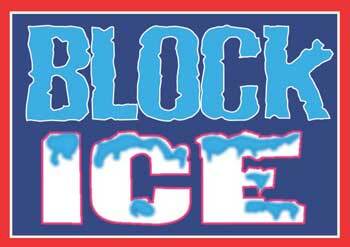 Newcastle's Coldest Block Ice with free delivery and pickup service!